The program finder tool helps you explore through Aalto University Executive Education’s full program offering. Aalto Leaders’ Insight provides you with a complimentary feed of fresh stories, articles, podcasts, and views on different aspects of leadership, business and self-development. Each year, around 6,000 people from 1,000 organizations benefit from our goal-oriented and comprehensive learning experience. We are first and foremost driven by the impact we can have through our programs – on participants, their organizations, the academic community, and society at large. With more than 15,000 Alumni worldwide, Aalto University Executive Education provides a valuable network for you to connect with your fellow Alumni. We provide executive education, professional development services and training with three brands: Aalto EE, Aalto PRO and Aalto ENT. Aalto Executive MBA is a globally renowned EMBA program. It is designed around the four major areas of strategy, leadership, finance and marketing, with a special emphasis on strategy and leadership in a global context. Aalto-ESADE MBA for Executives is based on innovation, design thinking, and the entrepreneurial mindset. It combines the strengths of two world leading business schools to create a unique EMBA journey. International EMBA in Finance and Control is for finance professionals gifted with the talent and drive to become CFOs. It targets professionals with an academic background and several years of experience in a finance function within multinational organizations. Aalto MBA is a life-changing option for talented people who want to broaden their career prospects and challenge themselves in a creative and innovative way. Aalto Executive Doctor of Business Administration (DBA) is a structured program in Business Administration for experienced individuals with considerable managerial experience who wish to contribute to the development of their professional competence and their key areas of interest. During the Aalto Executive Summit you have a chance to network with a very international group of participants. The week is also about studying with world-class faculty, developing your personal leadership potential, and meeting business leaders. Aalto EE invites management students from prestigious universities and institutes to an immersive experience into Finnish business, culture, and context. Awareness of your own strengths and weaknesses is often the starting point for success and development in expert work. The needs of a new supervisor differ from those of a CEO who has been involved in executive team work for years, but both benefit from systematic reflection of their own leadership as well as from external feedback. Continuous renewal is an increasingly significant challenge for individuals and organizations alike. In the coaching process, the aim is to turn the challenges of change into opportunities. Interaction and networking skills are emphasized in the current operating environment. They are needed both in cooperation within the organization and when managing stakeholder relationships. Modernism has ruined our cities, says the world-renowned Danish architect and urban design consultant Jan Gehl. High-rise buildings and neighborhoods are popping up around southern Finland as cities try to optimize the use of urban space. The argument is that compact, high-density cities are both more sustainable and more livable than their low-density counterparts. Jan Gehl, the pioneering Danish architect and urban design consultant who helped turn Copenhagen into one of the world’s most desirable cities, disagrees. According to Gehl, we lack knowledge of what actually makes cities livable. “We know more about the appropriate conditions for mountain gorillas than we know about what makes a good urban habitat for homo sapiens,” he says. Gehl delivered a studia generalia lecture in Helsinki in October as part of Aalto PRO’s longest running program, YTK:n Pitkä kurssi – Expertise in Urban Planning, which this year celebrates its 50th anniversary. The event was organized to honor the publication of the Finnish translation of Gehl’s Cities for People (Ihmisten kaupunki), the first of his many books translated to Finnish. 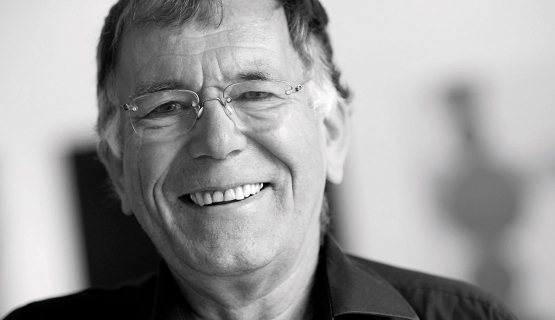 Jan Gehl graduated from the School of Architecture at the Royal Danish Academy of Fine Arts (RDAFA) in 1960. “It was the all-time low point of city planning. We were trained to be good modernists,” he bemoans. Before the Second World War, Gehl says, cities all over the world were made for people. The focus was on spaces that were logical for the human body. Cities were built on the human scale and streets adapted to the speed of walkers. According to Gehl, modernism marked the end of concern for people and for the human scale. Architects got confused by space and started to design big, tall, freestanding buildings. The area between the buildings became leftover space reserved for parking one’s car. After his graduation, Gehl spent a few years practicing architecture. His turning point was getting married to a psychologist. Gehl and his wife Ingrid set out to study the relationship between architecture and psychology and how city planning and architecture influence the quality of life for people. His first book, Life Between Buildings, was published in Danish in 1971. In it, he makes a case for a systematic approach for improving city life by documenting urban spaces, making gradual improvements, and then documenting the spaces again. According to Gehl, cities tend to be good at collecting traffic data, but they know next to nothing about how people use the cities. He suggests documenting things such as the flow of pedestrians, the number of park benches and the amount of time people spend sitting on them. Real-time observation is key. Gehl’s academic career culminated in his appointment in 2003 as Professor and Director of the Centre for Public Space Research at RDAFA, a position he held until his retirement from the university in 2006. Besides academia, Gehl has been active in architectural practice, co-founding Gehl Architects with Helle Søholt in 2000, and working as a consultant for international projects that have taken him across the globe to cities as diverse as Moscow, Melbourne, New York, and Brighton & Hove. City planning is a lengthy process and things change slowly. Maybe that’s why it’s taken Gehl, too, 50 years of evangelizing to turn the tide. Now, he says, there are finally noticeable signs of a distinct paradigm shift. The call is for lively and livable cities that are also healthy, sustainable, and good for the elderly. As an example of a successful urban revival project, Gehl mentions Melbourne. “In 1985, the Melbourne city center was deserted. Since then, they’ve made a great effort to revitalize the city by, for example, widening all the sidewalks, bringing in high-quality urban furniture, planting trees, and putting up nice façades for people to rest their eyes on when walking by. Now, it’s by far the best city in the southern hemisphere. It’s like Paris, except the weather is much nicer,” Gehl laughs. The city that’s made the biggest effort in putting people first is, of course, Copenhagen, right on Gehl’s home turf. It all started with pedestrianizing Strøget, the Danish capital’s main street, in 1962. Since then, the city has progressed by leaps and bounds in its effort to increase livability. From 1980 to 2000, the focus was on establishing car-free squares and sidewalk cafés for people to meet in. After 2000, the focus has increasingly been on various activity parks or “playgrounds” for people of all ages. For the past decade, the emphasis has been on climate adaptation, such as integrating stormwater management into the urban planning process. Instead of battling the problem of flooding in densely populated areas by increasing the size of the sewer and stormwater network, Copenhagen has transformed a neighborhood of 50,000 square meters into a showcase for climate adaptation technology with bike paths acting as storm water channels, urban gardens and green roofs delaying the water, and canals diverting excess water into the harbor. Furthermore, Copenhagen has given a priority for pedestrians and bicyclists by reducing the number of lanes reserved for cars and building continuous sidewalks and bicycle tracks instead. “My granddaughter can now walk to school, because she can stay on the sidewalk from door to door,” Gehl says. Biking in Copenhagen is a phenomenon in itself. The network of bicycle lanes covers the entire city, and the aim is to make biking always faster than taking the car. There are special trash bins that are tilted to one side so that bikers can discard their trash on the go. Next to traffic lights, there are railings for cyclists to lean on while waiting for the light to change. And when it snows, bicycle lanes are always ploughed first. More information about Aalto PRO's YTK:n Pitkä kurssi – Expertise in Urban Planning program which focuses on the field of community planning and urban research. Aalto Leaders’ Insight shares fresh stories, articles and views on different aspects of leadership, business and self-development. See a sample of Highlights of Aalto Leaders' Insight newsletter that is sent maximum twice per month to the subscribers. Easy to unsubscribe. See a sample. The purposes for the processing of personal data include: the management of customer relationships; the realization of the rights and obligations of the customer and the controller; the processing of personal data in accordance with the Personal Data Act with regards to online services; research activities; and, steering the advertising and/or direct marketing of the controller and/or its partners on the basis of personal data via the controller’s media channels and services without disclosing any personal data to an external party. creating target segments for direct marketing campaigns, where profiling helps Aalto EE suggest services that meet customer needs. The user's personal information may be linked to the cookie when she reveals her person by filling in a webform, e.g. application/registration, request for information or newsletter subscription. The information given is stored in Aalto EE’s marketing or customer register. The user's personal information may be linked to the cookie when the user arrives at the website via an email marketing message sent by Aalto EE. The sources for e-mail marketing messages are Aalto EE’s marketing or customer register. A user whose cookie is linked to personal data can receive email marketing that is personalized based on her website visitor history.